Rooms from $58.00 per night. Description This Pooler, Georgia hotel has an outdoor pool, free internet access, non-smoking guest rooms and free breakfast. 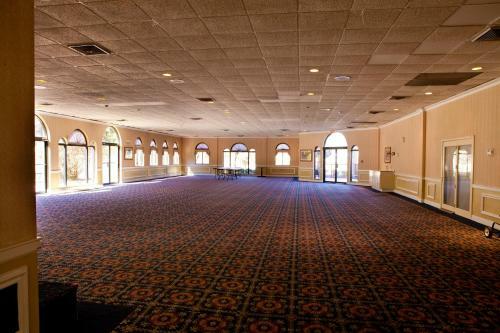 An on-site bar and restaurant and a convenient location are top perks at the Ramada Pooler/Savannah where rooms include microwaves and mini-fridges. The 150 rooms at this two-story hotel have refrigerators microwaves coffeemakers cable TVs with HBO and Wi-Fi access. 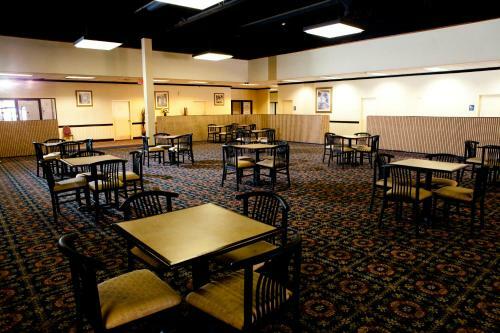 Have lunch or dinner at the on-site restaurant which has a full bar darts and pool tables. A 24-hour front desk and vending machines are available for forgotten and last-minute items and snacks. 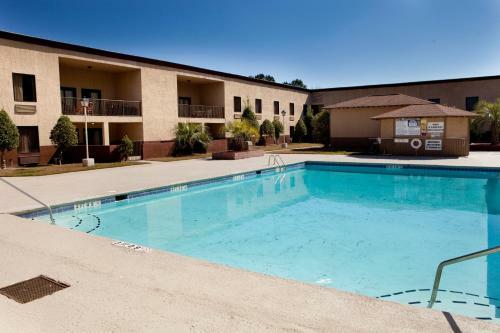 The Ramada Pooler/Savannah is located off I-95 less than five miles from Savannah/Hilton Head International Airport. Discover World War II history at the Mighty Eighth Air Force Museum less than one mile away. Hunter Army Airfield is about 18 miles away. Spend the day on the beaches of Tybee Island about 30 miles from the property. Savannah College of Art and Design is about 12 miles away in downtown Savannah which also features historic fountains architecture and fine restaurants. 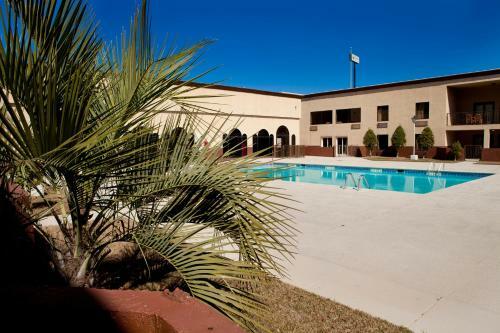 Add Cottonwood Suites Savannah Hotel & Conference Center to your free online travel itinerary.